New Amonkhet Preview Card! - D3 Go! Take a first look at an exclusive preview card in Magic: The Gathering from the upcoming set, Amonkhet. 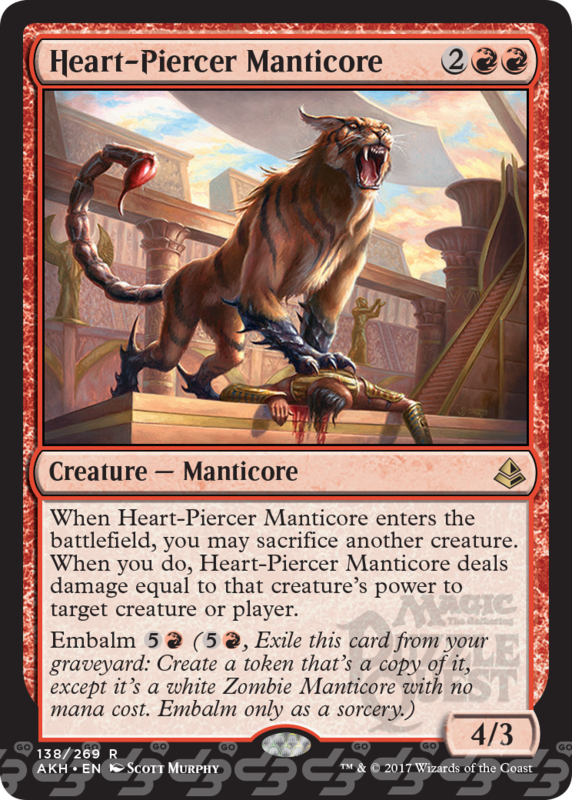 Heart-Piercer Manticore will also be included in the upcoming Amonkhet update for Magic: The Gathering – Puzzle Quest in May (more details soon). Download Magic: The Gathering – Puzzle Quest for free HERE on the App Store and Google Play!